Despite Africa’s economic growth in recent years, healthcare remains one area where the continent struggles. Governments are faced with the challenges of coming up with solutions that will help maintain a healthy and thriving society. In this two-part series, I will be exploring the areas, which remain a major main source of concern and where are improvement being made? As Africa continues to develop economically, so has the need for quality and affordable healthcare. Over the last few years, the emergence of the middle class on the continent means many can afford private healthcare which is in high demand in countries like Nigeria, Kenya and South Africa, creating a booming healthcare industry in sub-Saharan Africa. It is estimated that at the end of 2010, the private sector healthcare industry was delivering half of the region’s health products and services. Nevertheless, African governments are faced with greater demands and an urgent need to meet the dire health needs of those, who neither belong to the elite or middle class. 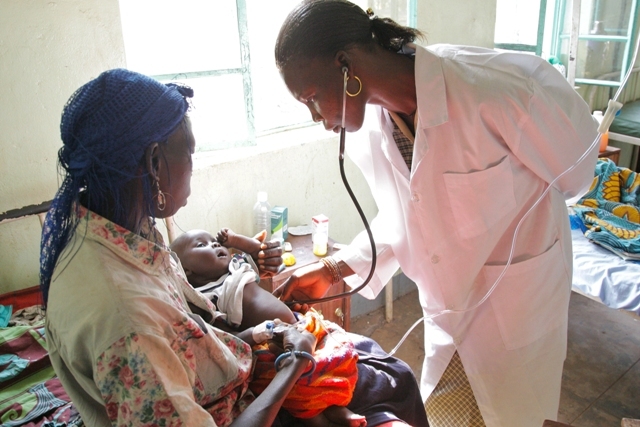 Despite registering the economic growth, health experts contend that some African governments may not be able to provide adequate healthcare to its neediest of citizens by 2020. Primary healthcare remains one area of contention as African governments continue to falter in their struggle to deliver a robust system that is accessible and affordable for all. Of the eight UN Millennium Development Goals, three of them, MDGs 4, 5 and 6 are health focused. However, there are hindrances to these goals being achieved due to the lack of infrastructure and government policies which are yet to be implemented. Dr. Ken Simiyu, originally from Kenya is a fellow at McLaughlin-Rotman Centre for Global Health, Canada, with a special focus on health innovation in developing countries. In past times, he has written extensively about primary healthcare on the continent. In a 2007 essay titled, Health care In Africa: Status Projection by 2020, he estimated ‘over 50 percent of the African population do not have access to modern health facilities and more than 60 percent of people in rural areas have no access to primary healthcare.’ He spoke to me from Rwanda and described the current state of primary health care in Africa (with the exception of South Africa) as generally weak. There are hundreds of non-governmental organisations operating in Africa, providing a plethora of services, including the healthcare sector. In 2002, the former UN Secretary General, Kofi Annan said Non-Governmental Organisations (NGOs) were the “Conscience of humanity.” In some African countries, they are welcomed with open arms but in others, their presence poses is sometimes seen as meddling with the affairs of a sovereign country especially in the area of human rights. Nevertheless, where healthcare is concerned, NGOs have played a critical role during conflict times and in countries where health structures are insufficient or non-existent, they work with authorities such as the Ministry of Health to provide assistance. Médecins Sans Frontières (MSF) provides emergency medical assistance to people in danger, in over 70 countries and has been in operation since 1971. In Africa, MSF is one of numerous NGOs and has 32 projects in 26 nations, including Sudan, Zambia, Burkina Faso and Burundi. A total of 42.1 percent of its global programmes are carried out on the continent and this ranges from being a health providers in conflict zones, like North and South Kivu, in DRC where it carried out 530,000 medical consultations and working closely with national governments on immunisation campaigns in Niger and Nigeria, where an estimated 8 million people were vaccinated against meningitis in 2009. The fight against HIV⁄AIDS and Tuberculosis epidemics continues to be an integral part of MSF’s work and in countries like Kenya, it played a key role alongside other national and international NGOs in lobbying the government to declare the disease a natural disaster in the 90s, paving the way for access to affordable generic drugs in the country. In all of these, the role of NGOs and national governments cannot be blurred and the question as to where the overall burden of responsibility lies remains. This entry was posted on Monday, May 2nd, 2011 at 2:10 am	and is filed under Africa, Features, Interviews, Journalism, World News. You can follow any responses to this entry through the RSS 2.0 feed. You can leave a response, or trackback from your own site.